Looking for the Tygron Engine documentation? Read our getting started section. 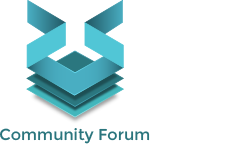 Thank you for contributing to our forum! 1. To only comment on the topic where the discussion is about. Do you have a new question or topic? Please start a new discussion. 2. Be kind to other users! In the Wiki i find this note bij the overlay traffic Noise: “this overlay only shows the impact of traffic noise on top of a background value of 48 dB(A)”. In the MKP indicator geluidbelasting wegverkeer we use classes lower then 48 dB. How can i calculate with classes lower then 48 dB, when the Tygron engine use 48 dB as the minimum/background grid value? Late reply from me, but in the meantime we have done some updates. This background value was set to limit calculation time, but the calculation time for overlays is improved and therefore it is possible to set a background value lower than 48 dB. See also the attached image. This is already implemented on the Preview server and will also be implemented on the LTS half 2019.